I have a four-year old with an insatiable sweet tooth. No matter the time of the day, he wants something sugar-laden. He has an uncanny knack for picking the sweetest parts of the meal out and leaving the rest sitting on his plate. And it doesn’t stop there. Even the sweets he is given get analyzed, the most sugary parts eaten first. I can give him a glazed donut and he will lick off all of the glaze and leaving behind a ring of plain bread. Obviously, nutrition is not anywhere on his radar. Luckily for him, it is on MY radar and I have a few tricks up my sleeve to help him get all of the nutrients he needs while still satisfying his sweet tooth. 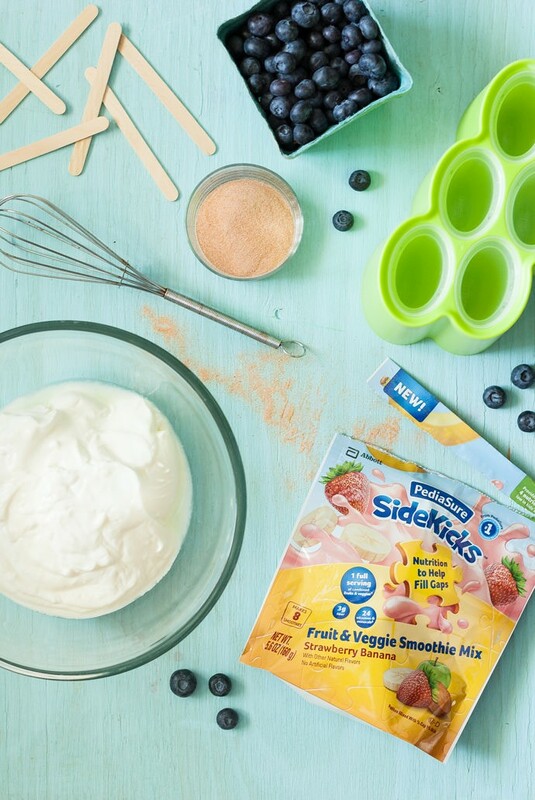 One of them is making fun polka dot popsicles with the help of PediaSure SideKicks Fruit & Veggie Smoothie Mix. The mix provides one full serving of fruits and vegetables, helping to fill in the gaps with the top 4 nutrients missing from children’s diets. 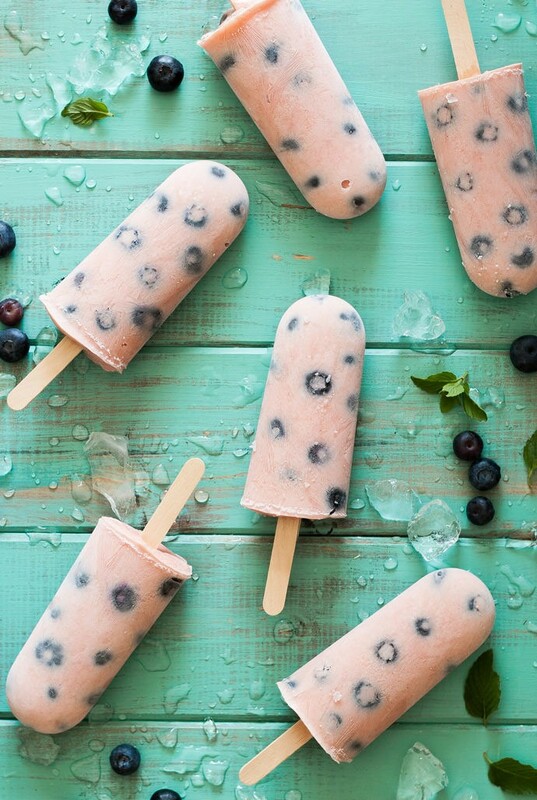 It also makes a fantastic fruity flavoring for calcium and probiotic-rich frozen yogurt popsicles. 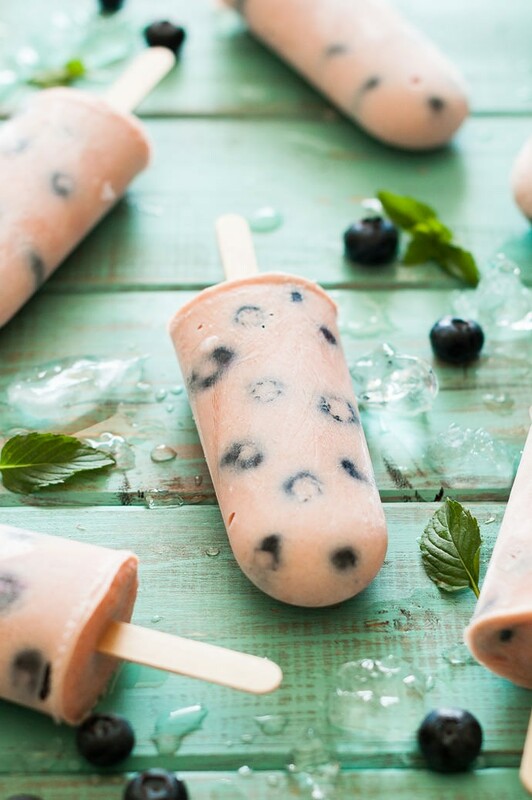 All you need are three simple ingredients, a little freeze time, and you’ve got a nutritious treat that packs a punch of vitamins and minerals (24, to be exact!). 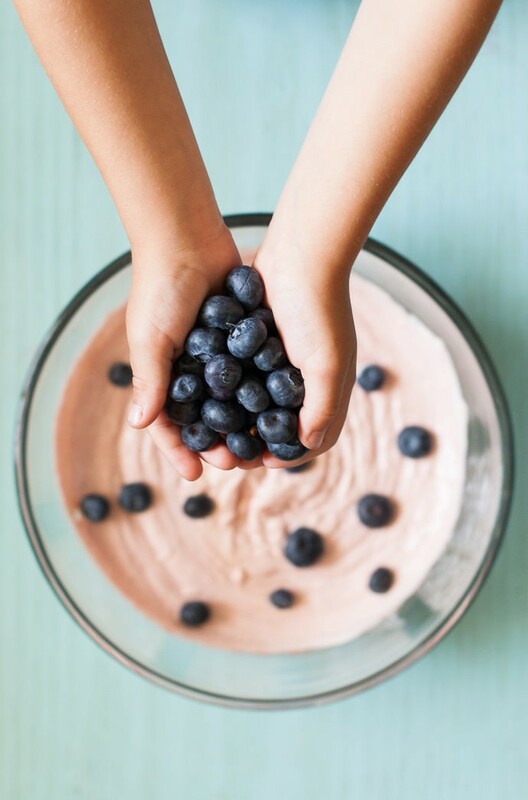 Your little one will see a creamy sweet treat while you get the satisfaction of knowing that they’re actually getting a lot more goodness than they realize! 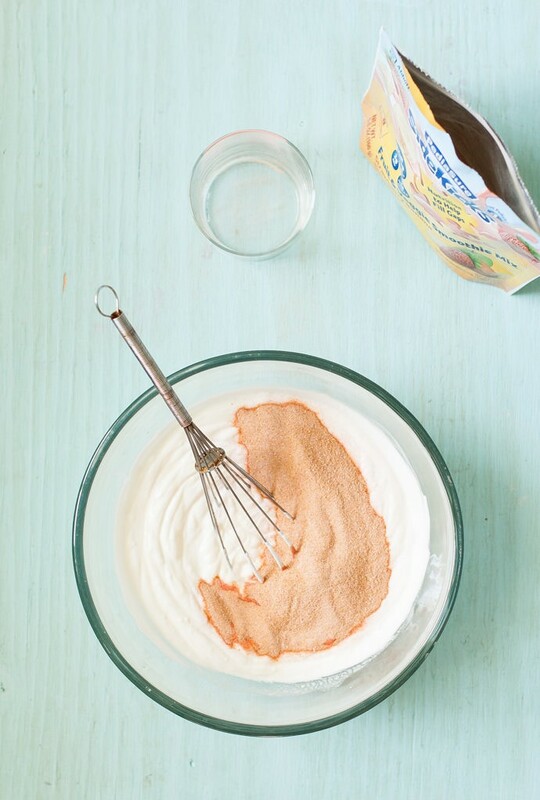 Place the vanilla yogurt in a mixing bowl. Add the smoothie mix and whisk until very smooth. Add the blueberries to the mixture and fold in. 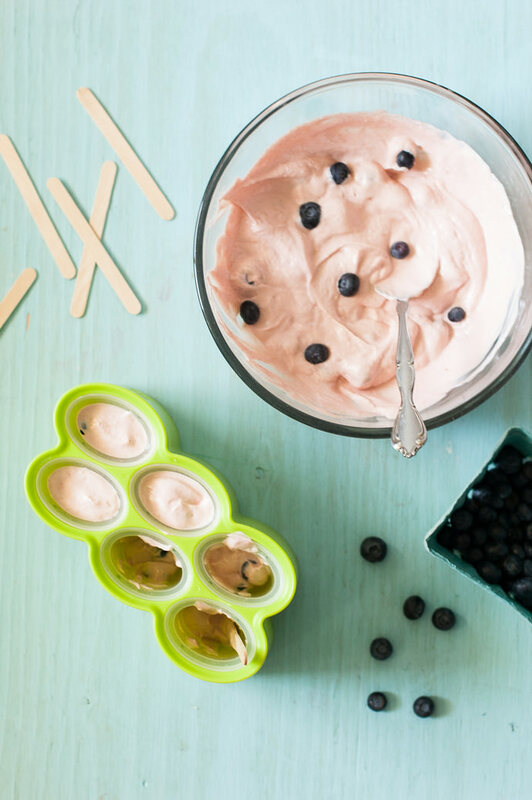 Spoon the mixture into popsicle molds, tapping the mold to help the yogurt settle into air pockets. 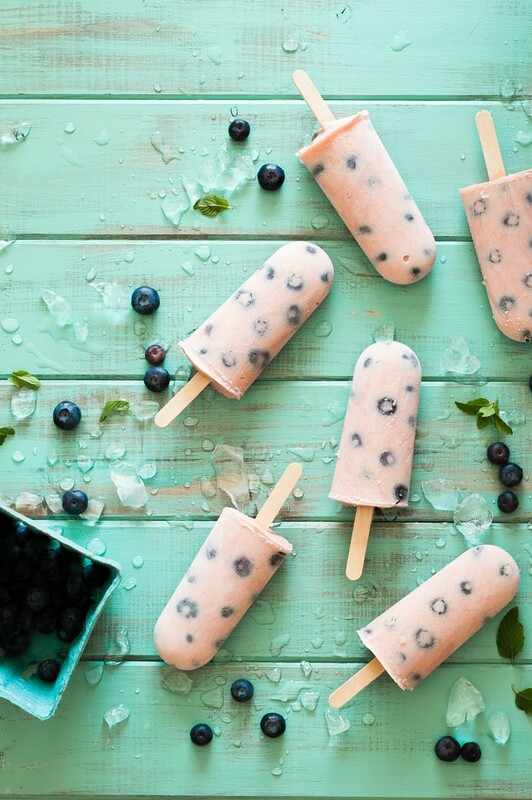 To get a polka dot look on the outside of the popsicle, insert a popsicle stick in the center of each mold and press the blueberries against the sides of the mold. 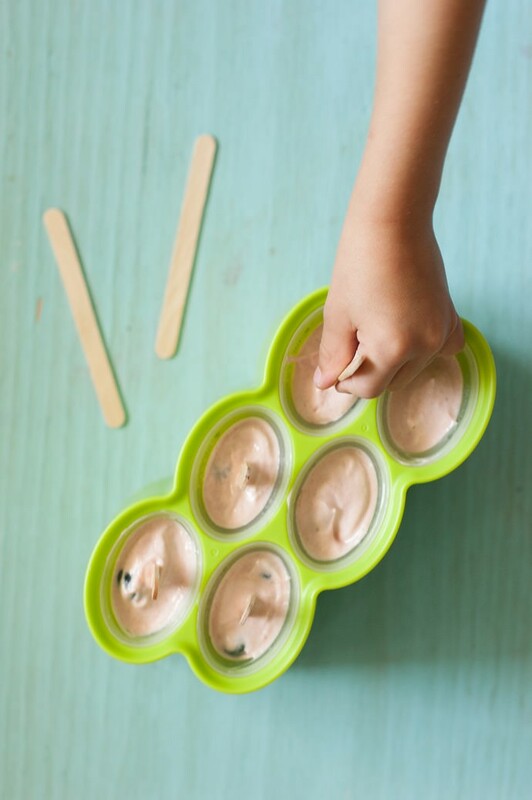 Insert Popsicle sticks in the center of each yogurt-filled mold. Freeze until solid, 8 hours or overnight. This post is sponsored by PediaSure.